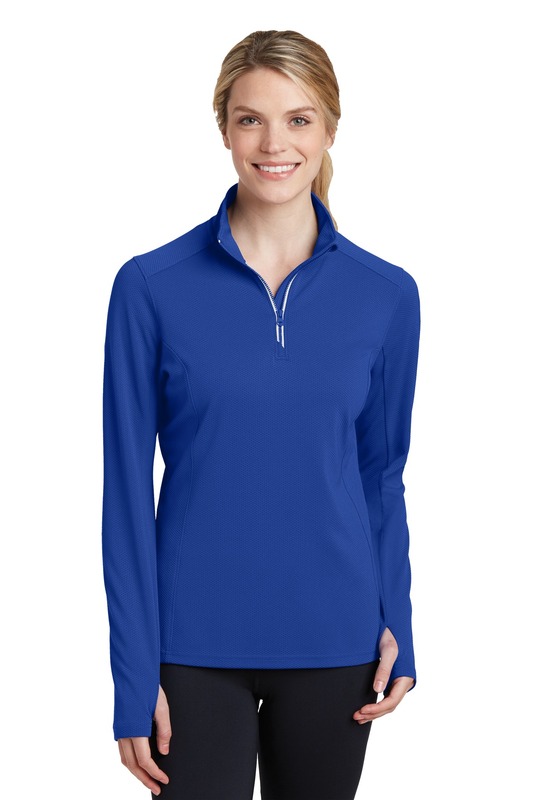 This mid-weight pullover has an unbeatable textured look with contrast zipper taping. Plus, it performs by wicking moisture. | 100% polyester Gently contoured silhouette Cadet collar Tag-free label Taped neck Dyed-to-match Vislon zipper and pull Silver zipper tape Angled chin guard for additional comfort Set-in sleeves Thumbholes to keep hands warm Front and back princess seams Open cuffs and slight drop tail hem Due to the nature of 100% polyester performance fabrics, special care must be taken throughout the printing process.